Just a knock away from a notification. 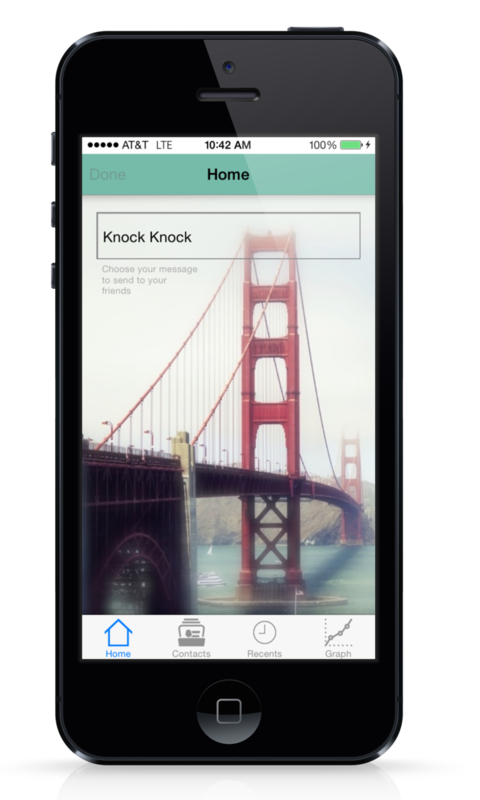 With Who's There, you can even customize your Knock message and set different Knock counts for different friends. We aimed to build a simple solution to sending notifications without taking your phone out of your pocket. We see Who's There there to be used in many cases and believe the applications potential is astounding. For example, Accessibility - the ability to send notifications without any thoughtful interaction with the phone could be useful for individuals with disabilities, signaling for assistance by simply knocking on the surface of their phone. What's limiting this app to sending notifications? The knock detection scheme could be used to trigger any events such as turning on and off light switches. We sampled the accelerometer data to determine what registered when knocking on the phone. We recorded a bunch of sample signals, some including knocks and some containing just noise. We used Python to develop an algorithm based on a high-pass filter that would reject low frequency noise. We ran very rudimentary machine learning routines to determine the optimal threshold values for our filter and then ported to Objective-C! With Who's There you can send notifications instantly without opening your phone. Who's There allows you to connect to Facebook to send Knocks to all your friends. 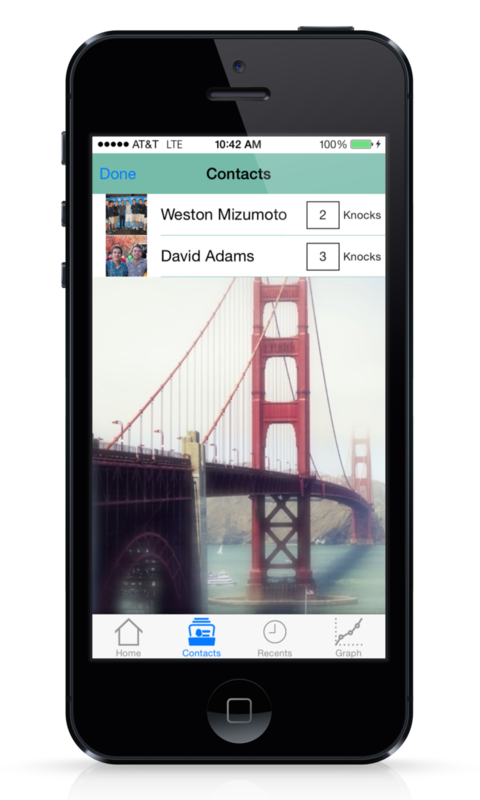 You can select any number of people to be sent a notification for any number of sequential knocks.